Welcome to the home page of Dr. Peter Chen （陳品山）at Louisiana State University (LSU) where he was M. J. Foster Distinguished Chair Professor of Computer Science from 1983 to 2011. Currently, he is Adjunct Professor at in the Computer Science Department and Emeritus Professor in the College of Business. Prof. Peter Chen received his Ph.D. from Harvard University and has held regular and visiting faculty appointments at MIT, UCLA and Harvard. He is the originator of the Entity-Relationship Model (ER Model), which serves as the foundation of many systems analysis and design methodologies, computer-aided software engineering (CASE) tools, and repository systems including IBM's Repository Manager/MVS and DEC's CDD/Plus. After years of efforts of many people in developing and implementing the entity and relationship concepts, now “Entity-Relationship Model (ER Model),” ”Entity-Relationship Diagram (ER Diagram),” and “Peter Chen” have become commonly used terms in “online” dictionaries, books, articles, web pages, course syllabi, and commercial product brochures. His work started a new field of research and practice: Conceptual Modeling. Since 1978, an annual International Conference on Conceptual Modeling has been held in different countries. To recognize his pioneering contributions, the Peter P. Chen Award was established in 2008. Dr. Peter Chen's original paper on the Entity-Relationship model (ER model) is one of the most cited papers in the computer software field. His original ER model paper was selected as one of the 38 most influential papers in Computer Science according to a survey of 1,000 computer science college professors (Table of Contents, Great Papers in Computer Science, edited by P. Laplante, West Publishing, 1996). It was selected for inclusion as one of the important publications in the “Science Pearls” project of Wikipedia. Based on one particular citation database, Chen's paper is the 35th most cited article in Computer Science. It is the 4th most downloaded paper from the ACM Digital Library in January 2005 (Communications of ACM, March 2005) even though the paper was published 30 years ago. The ER model was adopted as the meta model for the ANSI Standard in Information Resource Directory System (IRDS), and the ER approach has been ranked as the top methodology for database design and one of the top methodologies in systems development by several surveys of FORTUNE 500 companies. Dr. Chen’s work is a cornerstone of software engineering, in particular Computer-Aided Software Engineering (CASE). In the late 80’s and early 90’s, IBM’s Application Development Cycle (AD/Cycle) framework and DB2 repository (RM/MVS) were based on the ER model. Other vendors’ repository systems such as Digital’s CDD+ were also based on the ER model. Prof. Chen has made significant impact on the CASE industry by his research work and by his lecturing around the world on structured system development methodologies. Most of the major CASE tools including Computer Associates’ ERWIN, Oracle’s Designer/2000, and Sybase’s PowerDesigner (and even a general drawing tool like Microsoft’s VISIO) are influenced by the ER model. Microsoft’s ADO.NET Entity Framework (a software development framework) is also based on the ER model. The ER model also serves as the foundation of some of the recent work on Object-Oriented analysis and design methodologies and Semantic Web. The UML modeling language has its roots in the ER model. The hypertext concept, which makes the World Wide Web extremely popular, is very similar to the main concept in the ER model, and Dr. Peter Chen is currently investigating this linkage. From 1999 to 2006, he served as an invited expert of several XML working groups of the World Wide Web Consortium (W3C). 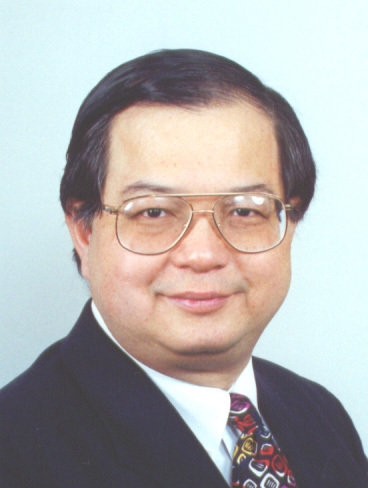 Professor Peter Chen's work is cited heavily in a book published in 1993 for general public called Software Challenges published by Time-Life Books as a part of the series on "Understanding Computers". Dr. Chen is a Fellow of the IEEE, the ACM, AAAS, and the ER Institute. He is a member of the European Academy of Sciences. He has been listed in Who's Who in America and Who's Who in the World for more than 20 years. · The Data Resource Management Technology Award from the Data Administration Management Association (NYC) in 1990. · The Achievement Award in Information Management in 2000 from DAMA International, an international professional organization of data management professionals, managers, and Chief Information Officers (CIO's). Dr. E. F. Codd (the inventor of the Relational data model) was the winner of the same award in 2001. · Inductee, the Data Management Hall of Fame in 2000. · The Stevens Award in Software Method Innovation in 2001, and the award was presented at IEEE International Conference on Software Maintenance in Florence, Italy on November 8, 2001. · The IEEE Harry Goode Award at the IEEE-CS Board of Governors meeting in San Diego, February 2003. The previous winners of the Harry Goode Award include the inventors of computers, core memory, and semiconductors. · The ACM/AAAI Allen Newell Award presented at the ACM Award Banquet in San Diego, June 2003. He was also introduced as the award winner at the opening ceremony at the 2003 International Joint Conference on Artificial Intelligence (IJCAI-03) on August 11, 2003 in Acapulco, Mexico. The previous 7 winners of the Allen Newell Award include a Nobel Prize and National Medal of Science winner, 2 National Medal of Technology winners (one of them is also an ACM Turing Award winner), and other very distinguished scientists who either have made significant contributions to several disciplines in computer science or have bridged computer science with other disciplines. · The Pan Wen-Yuan Outstanding Research Award in 2004 (Taiwan’s prestigious high-tech award). Starting 1997, the awards have been given to usually three individuals each year (one in Taiwan, one in Mainland China, and one in “overseas” – outside of Taiwan and mainland China) in the high-tech fields (including electronics, semiconductors, telecommunications, computer science, computer hardware/software, IT, and IS). In 2003, the overseas winner was Prof. Andrew C. C. Yao of Princeton University, who is also a winner of the ACM Turing Award. · The Transformative Achievement Award in 2011 by the Software Engineering Society and the Society for Design and Process Science. In June 2011 in Jeju Island, Korea, he was awarded the Transformative Achievement Award for his work on transforming the software engineering design and process. Two distinguished individuals receiving the Transformative Awards as Chen are: (1) Dr. Suh Nam-pyo (President of KAIST, Korea) for transforming the college and science education in Korea, (2) Dr. Kim Soon Kwon (the “Corn Doctor”) for his developments of new types of corn and humanitarian efforts in Africa and Asia for saving the world hunger. · He (“Peter Chen”) is one of approximately 80 persons in the computer and applied math fields (living or deceased, including John von Neumann, A.K. Erlang, Alan Turing, and Bill Gates) listed in probably the most popular dictionary of computer words/terms: The Free Online Dictionary of Computing, edited by Denis Howe since 1985. · He is listed in Who’s Who in Internet and Computer Technology together with founders of major computer and Internet companies in Webopedia.com. · He is listed in the popular free encyclopedia: Wikipedia.com. · He is listed in the popular “general dictionary” for all fields: dictionary.com. · His entries in the above dictionaries can also be found at: OneLook.com. Dr. Peter Chen was recognized as a “software pioneer” in the "Software Pioneers" Conference, Bonn, Germany, June 27-28, 2001, together with a group of very distinguished scientists including winners of President’s Medals of Technology, ACM Turing Awards, ACM/AAAI Allen Newell Awards, or IEEE distinguished awards such as Harry Goode Awards. All the speeches in the conference are documented in a book (with 4 DVD’s) published by Springer-Verlag, and how to order the book can be found in the section on Papers-Online. The Entity-Relationship model is described in most textbooks on databases, software engineering, and information systems analysis. It is included as a fundamental topic in the ACM/IEEE recommended curriculum on computer science and information systems. Today, it is very likely to find at least one chapter on the ER model when a person randomly picks up a college textbook on information system design or databases. It is also very likely to walk into a college classroom to attend a class on information management and see that the ER modeling is being taught there. For example, at LSU, the ER model is being taught in 3 different colleges: the Computer Science department in College of Basic Sciences, the Information Systems and Decision Sciences Department in College of Business, and the Industrial Engineering and Manufacturing Systems Department in the College of Engineering. In other universities, the ER model is also taught in a variety of departments and colleges. For example, at Berkeley, the ER model is being taught in 2 or 3 courses at the School of Information Management. As another example, the ER model is being taught in the Computational-Biology/bioinformatics programs at University of Pennsylvania, Drexel, University of Virginia, and Hong Kong University. There are more examples of college courses covering the ER model. He started the first Entity-Relationship (ER) Conference in 1976 at UCLA. It opened up a new area of research, and the ER (Conceptual Modeling) conferences have become an international forum of exchanging new ideas and are being held yearly in different places of the world. From 2005 to 2009, Professor Peter Chen was a member of the U.S. Air Force Scientific Advisory Board. From 2004 to 2006, he was a member of the Advisory Committee of the Computer and Information Science and Engineering (CISE) Directorate of the U.S. National Science Foundation (NSF). Dr. Peter Chen was a member of the Airlie Software Council, which consists of software visionaries/gurus and very-high-level software organization executives, organized by U.S. Department of Defense (DoD). He was an advisor to the President of Taiwan’s largest R&D organization, Industrial Technology Research Institute (ITRI), with over 6,000 employees, which has been the driving force of Taiwan’s high-tech growth in the past 3 decades. Since 2004, he has served as an advisor of DAMA International Foundation, the advisory body of a large international professional organization of data management professionals and Chief Information Officers. Dr. Peter Chen was one of 5 main US delegates to participate in the 1st IEEE USA-China Computer Conference, which was held in Beijing in 1984, and to meet with PRC high-level leaders and government officers in the Science and Technology fields and the Education area. Dr. Chen has been a keynote speaker for more than 30 international conferences and workshops. He had teamed up with an Executive VP of Software A.G. (one of the largest software companies) giving seminars around the world on information technologies. Prof. Peter Chen is also the Editor-in-Chief of Data & Knowledge Engineering, the Associate Editor for the Journal of Intelligent Robotic Systems, Electronic Government, and other journals. In the past, he was the Associate Editor for IEEE Computer, Information Sciences, and other journals. At MIT, UCLA and Harvard, Dr. Chen has taught courses in Information Systems, Systems Simulation, Telecommunication, Computer Performance Modeling and Evaluation, Systems Analysis and Design, Database Management & Programming Languages, and Office of the Future. At LSU, he has been doing research and teaching on Information Modeling, Software Engineering, Data/knowledge Engineering, Object-Oriented Programming, Internet/Web, Java, XML, Data Warehousing, E-commerce (B2B and B2C), Homeland Security, Identity Theft, System Architecture, Digital Library, and Intelligent Systems for Networking (Sensors Networks, Wi-Fi, and Cellular). Professor Peter Chen was the Principal Investigator of a large NSF-funded multi-disciplinary project on profiling of terrorists and malicious cyber transactions for counter terrorisms and crimes. For more detailed information about this project and its participants and publications, please browse the webpage: www.csc.lsu.edu/~chen/NSF-Project.htm . He is also a Co-Principal Investigator of another large project on “Secure Cyber Space Center,” sponsored by Board of Regents (BoR) of Louisiana, LSU, and Louisiana Tech University. The research focus is on enforcing cyber security using sensor networks. One of the objectives of this project is to perform research work to support the provisional Air Force Cyber Command in the defense of cyber attacks. In addition to the NSF project and the BoR project, Dr. Peter Chen has been the Principal Investigator or Co-Principal Investigator of various projects in system architecture, information/knowledge management, software engineering, and performance analysis sponsored by many government agencies and commercial companies. At LSU, he was the Director of a research lab and also, a member of the top management team of the National Center for Security Research and Training (NCSRT), a large training and research organization with an annual $50 million budget. He is also active in Digital library research and construction. He is a member of a group of experts led by Dr. Raj Reddy of Carnegie-Mellon University (CMU) to create a large digital library of over one million books. In this project, he serves as the Executive Director of US-China million book project. More details of various honors and awards received by Prof. Peter Chen can be found in the section on Honors & Professional Activities.